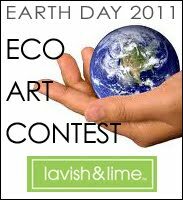 After much deliberation here at Lavish & Lime and beyond, we're pleased to announce the winners of our Earth Day 2011 Eco Art Contest. First, a big thank you to all entrants for taking the time to participate in this contest. 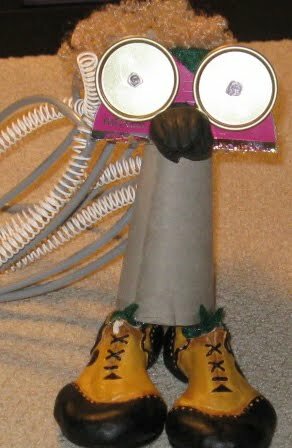 We were impressed with all entries received and all your efforts in creating with recycled materials deserve to be commended. Coming up with just three winners was decidedly difficult. Thank you also to our judges, Juno-nominated green music duo Bobs & Lolo, nationally eco-aware Babyvibe.ca and one of Canada's premier artists Cori Creed whose work is presently showing in Vancouver, San Francisco and New York. Your participation was greatly appreciated. We'd also like to thank everyone who gave their input online regarding our finalists. 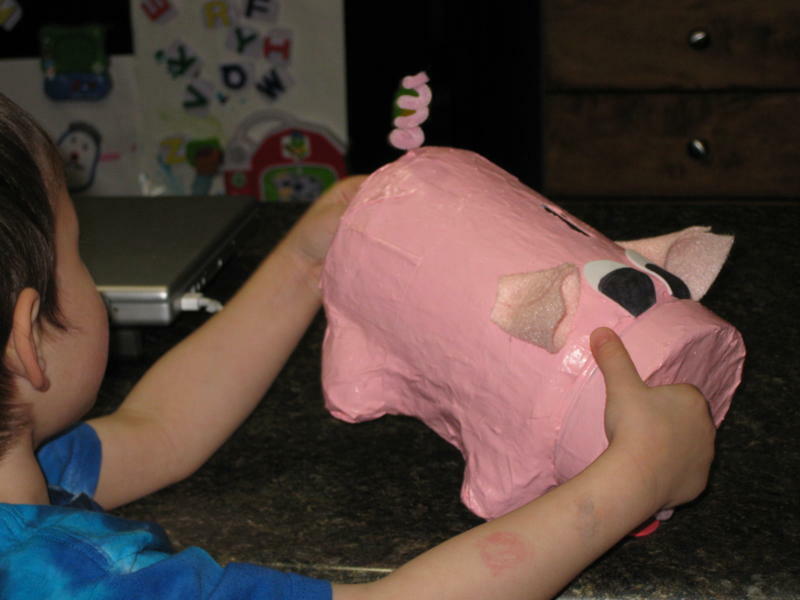 Our runners up entries are Caged Intelligence by Judie S. aka Colourful Canary and Hamm by Caryn S. and her son. Our overall Eco Art Contest winner is Callum F. with his piece entitled Albert. The judging process wasn't easy, as judges Bobs & Lolo explain with their experience. "It was a tough choice for us, and we definitely feel that all submissions/artists deserve recognition for their creations," said Bobs & Lolo. "We do feel that our first choice - Albert - clearly represents 'getting creative with your recycling' particularly with materials that are traditionally difficult to recycle. It was fun to see a creative use of an old CD! Hamm and Caged Intelligence need to be equally commended for their efforts." Artist: Judie S. aka Colourful Canary Title: Caged Intelligence Materials: Pencil, recycled office paper, reclaimed fencepost wood & wire, and natural materials (organic cornstarch, organic gelatin & organic powdered herbs) to represent the filthy conditions of factory caged birds. The portraits are renderings of actual beautiful intelligent birds. Artist: Caryn S. Title: Hamm (after the pig from Toy Story) Materials: Old plastic mayo jar for body, 4 bumps off of an egg carton for legs, newspaper strips and flour for homemade paper mache, pink felt for ears, pink pipe cleaner for tail, red and white art foam for eyes and tongue, pink paint. Thanks again to everyone who participated and congratulations to our winners! Looking to live life a little greener and healthier? Lavish & Lime is a great place to start. We have hundreds of unusual gifts and everyday eco finds all good for you and the planet too. If you have any thoughts or ideas about greener living, please leave a comment below - we'd love to hear from you!